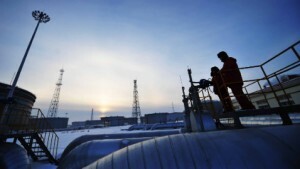 Russia, the world’s biggest energy exporter has decided to raise oil flows to China, the world’s top energy consumer. Russian state-owned oil giant Rosneft has agreed to boost crude supplies to China, Rosneft spokesman Vladimir Tyulin said on Tuesday. The deal concludes a three-day visit by Rosneft President Igor Sechin to China. The spokesman did not specify the amounts involved or delivery routes. Late last year Russian President Vladimir Putin asked energy companies to “look east” in order to take advantage of a rising energy demand in Asia. Rosneft and oil pipeline monopoly Transneft currently deliver 15 million tons of crude to China annually. Deliveries started in 2011 for the Russia-China branch of the East Siberia–Pacific Ocean pipeline. Under a deal signed in 2009, Rosneft received $15 billion and Transneft $10 billion in loans from Chinese banks in 2009 in return for long-term crude supplies. Rosneft recently concluded a deal to buy TNK-BP, the Russo-British joint venture, for over $50 billion. China has stated on numerous occasions it wants more Russian oil. An oil industry source previously told Prime news agency Rosneft was considering supplying crude to China via the Atasu-Alashankou pipeline through Kazakhstan. Rosneft also discussed the possibility of Chinese companies participating in projects to develop hydrocarbon deposits on the Russian continental shelf, Rosneft said in a statement.